Los Angeles is a vibrant and thriving theatrical landscape, and many SDA alumni are contributing to its successes. Here are some artists responsible for curating an incredible fall season of theatre in the greater Los Angeles area. Michael Michetti (BFA ’80) directs The Pasadena Playhouse’s production of Mike Bartlett’s King Charles III, running from Nov. 8 to Dec. 3. The production, which features alums Amielynn Abellera (MFA ’11), Sarah Hollis (BFA ’08) and Abe Martell (MFA ’16), is the Los Angeles premiere of the 2015 Olivier Award-winning best new play, and includes lighting design by faculty member Elizabeth Harper. Turner Frankosky (BFA ’16) and Paul Stanko (BA ’13) both appear in the Antaeus Theatre Company’s staging of Les Liaisons Dangereuses, Christopher Hampton’s adaptation of the Pierre Choderlos de Laclos novel concerning the decadence of the French aristocracy, running through Dec. 10. 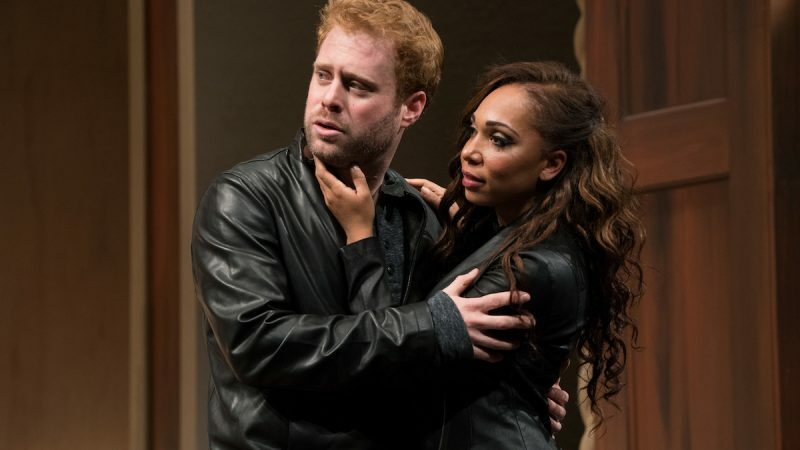 Josh Gershick (MFA ’05) produces the West Coast premiere of the Olivier-winning Rotterdam by Jon Brittain at the Skylight Theatre, which also stars current student Ryan Brophy (BA ’18), running until Dec. 11. The play, which enjoyed sold-out West End and off-Broadway runs this past year, concerns the fallout of a lesbian relationship when one of the partners comes out as a transgender male. At Playwrights Arena, USC distinguished professor Velina Hasu Houston’s Little Women [a multicultural transposition] stars Jacqueline Misaye (BA ’12) and features scenic and projection designs by Irene Choi (BFA ’17). The production runs until Nov. 21. Emily Goss (BA ’11) appears as Lucie Manette in A Noise Within’s A Tale of Two Cities, running through Nov. 19. According to A Noise Within’s website, the play – adapted from the classic Dickensian novel by Tony winner Mike Poulton – details the intertwined fates of two men at the bloody, turbulent end of the French Revolution. Tim Dang (BFA ’80) formed part of the ensemble of Kaidan Project: Walls Grow Thin at East West Players. Kaidan Project, produced in partnership with Rogue Artist Ensemble and recently finished its run on Nov. 5, is an interactive, immersive audience experience in which different rooms represent different Japanese ghost stories refracted through a modern-day multicultural perspective. Echo Theatre’s Fixed boasted a healthy amount of SDA alumni. Playwright Boni B. Alvarez (MFA ’07) crafts an exquisite piece about forbidden love and familial politics in the drag community of LA’s Historic Filipinotown, which ran until Oct. 23. The cast included Chris Aguila (BA ’12) and Joseph Valdez (BA ’05), and was directed by faculty member Rodney To. Other SDA representatives in L.A. theatre this fall include: faculty member Gregg T. Daniel directed a cast, including alumnus Omete Anassi (’17), in Tearrance Arvelle Chisholm’s Br’er Cotton at Lower Depth Theatre Ensemble; and faculty member Guillermo Cienfuegos directed Pacific Resident Theatre’s production of Eugene Ionesco’s classic absurdist tragicomedy Rhinoceros.